Do Property Shares Require Ongoing Management? Which Property Asset Classes do Property Partner Work With? How does Property Partner Select their Properties? What Due Diligence does Property Partner do when Selecting a Property? 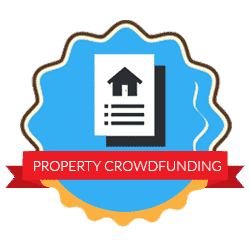 Rob Jones: In today’s question we are going to be looking at, what does investing in property with shares, via crowdfunding, look like and at how much ongoing work, management and maintenance is required, from the end investor? Is it hands-off? Is it hands-on? What’s it look it like, once they have made the decision to move forward? Robert Weaver: It is totally hands off. We do all the heavy lifting. So, for example, when we are acquiring it and launching it on the platform we put on the valuation report, the floor plans, the solicitor’s report, a report on the title, we organise the debt and that’s all up and ready. A lot of people think, great, sit back and relax and pull the income in. Far from it. We employ third-party managers. We’ve got two, key managers who do work across the portfolio. You can’t leave it there. You’ve actually got to manage the managers and that’s been a job of mine for many years and that’s been Jim, my right-hand man’s speciality. That’s what he did at Bradford Property Trust, he’s done it, man and boy, collecting rent by cash in a satchel, going around the Ealing Estate. So, he has seen it all the way through. So, he manages the managers and they enjoy it because they’ve got somebody who actually knows what they are doing, to ask one what is reasonable. The way I see it, is we have a number of levers. One is the rent review. One is voids, repairs and maintenance. And you have got to maintain these properties otherwise they will fall down and you will lose capital value. An example is a portfolio I took over from a previous fund manager. To get their performance fee they had minimised expenditure to generate the net income. And when I took it over, for these funds, we, actually, couldn’t let the properties, they were so redundant and rundown. I finally said, as a stop-gap, get the students in. No, we have been letting them to students and they do not want to rent them anymore. They had taped up all the vents, the showers were black, the cooking areas were black, the floors had started to melt because of chipboard floors. There was a massive need for expenditure for the little bit of rent they had saved over here. So, you have got to look at that. And, if you think about it, one week’s void is 1.9%. So, if you’re hanging out to get a 2% rent increase, well, it better not be void for more than a week. People don’t think about it in mathematical terms, two weeks void is nearly 3.8%. So, really you got to be managing and being really realistic on rental growth, keeping tenants there, having no voids or at least being realistic about getting it to let. Because one of the biggest killers of performance is void. Rob Jones: Definitely. And being a private landlord I know, it’s never set-and-forget. There is always ongoing management required on any property, whatever the tenant profile, unless you have something very nice, from a lease perspective. So, it’s important to know that is, when they make the decision, that there is a team that is following up on all those extra elements, making sure that management, maintenance, refurbishment, everything is taken care of. 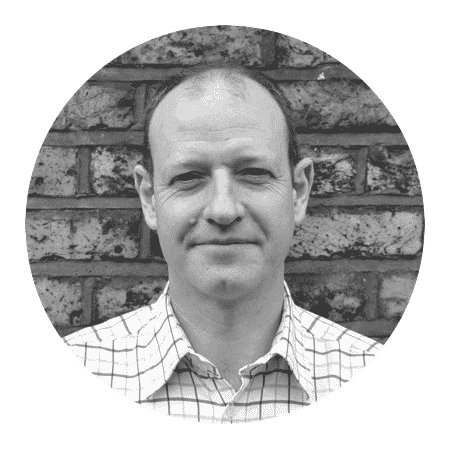 Robert Weaver: We have a weekly void call, a monthly meeting with them and we run our own reports which we’ve developed over a number of years which will give us clues as to what’s going on. And to give you a little anecdote. Back in the day, we noticed that when a flat was vacated and under new rent, we compared the new rent to the last rent and that was down. But the ones that used rent reviews were up slightly. So, what that told us was the rental market was going down. So, we did a moratorium on any kind of rent increases, kept all our tenants in place and we outperformed all the residual funds in the UK, just by being able to spot that and do that. Rob Jones: Because you costed the deals. Robert Weaver: And the information. You’ve got the information but you have to actually see and understand it. Rob Jones: So hands-on for you guys but hands-off for the investor. Robert Weaver: Very much so and also we flatten it a bit because we will get lumpy costs where there are voids and there is no income coming in and there is expenditure and expenditure takes out the income for that month but when we do it, we put a contingency in there. We collect the right operational costs, every month. So, there’s no problem with a repair. We’re still collecting a piece for it. And so, when it does happen, it’s all smoothed out. So, actually, it’s a nicer way, a more comfortable way of doing it. Rob Jones: Fantastic. Thank you very much.